With Hypno-Wellbeing, become a true non-smoker and not just a smoker who is courageously resisting cigarettes. That’s why we use an approach that helps you become a true non-smoker, not just someone who is resisting smoking. The ‘stopped smoker’ courageously resists having a cigarette, while the non-smoker couldn’t think of anything worse than smoking. 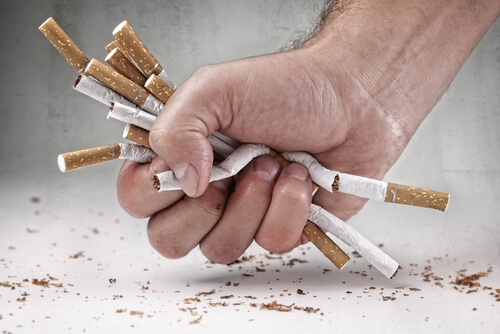 Our approach to smoking cessation hypnotherapy changes the unconscious mind of a smoker to an effortless non-smoker. The techniques we use address every single psychological trick that smoking addiction plays on you and frees you from its grip. Smoking cessation hypnosis will gently move your mind from its current addicted state to complete freedom from cigarettes. Call us now and we will send you an eBook called ‘Get Ready to Quit’ which will help you prepare in a way that will make quitting smoker much easier than you could ever have imagined.